Nativity! is a film which should fail on almost every level. The children who star don't display prodigious levels of talent - in fact, they're rambunctious and amateurish in the way that children generally are. 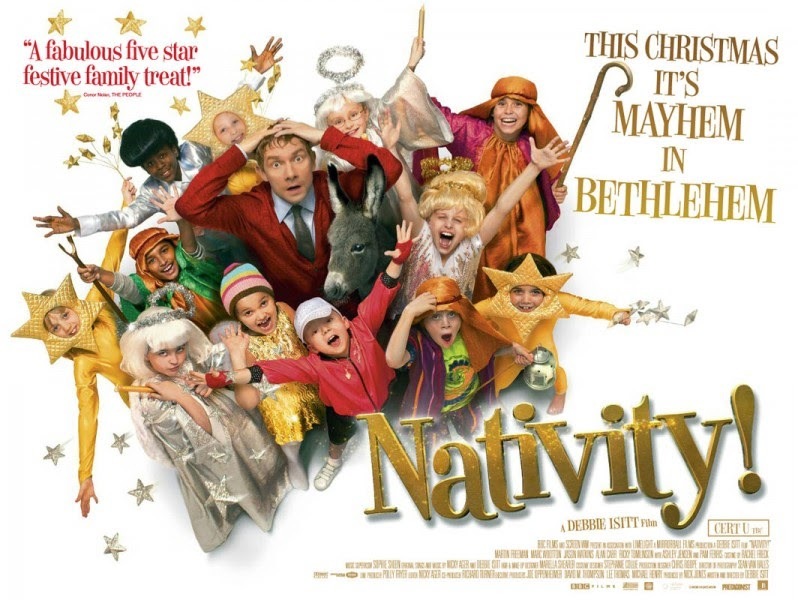 As they prepare for their school nativity play, a production they have been told will be witnessed by Hollywood executives and which gives the film both its title and purpose, it is clear to see that none of the children are exactly professionals. There is, however, a certain charm in the youngsters' off-key caterwauling - a charge which certainly cannot be levelled at everyone in the movie. Mr Poppy, a class-room assistant as portrayed by Marc Wootton, is incredibly intolerable. Rather than warming the cockles of those who watch him with his overtly wacky antics, Poppy inspires feelings of decidedly un-seasonal hatred. He's loud and brash, rude too, and inspires children to misbehave in the name of "fun" - its an attitude which ultimately shows a lack of respect to the kids he works with. A supposedly "likable" character, it is impossible not to view this idiot man-child without clenched fists and escalating graphic daydreams of physical vengeance. This is a character we're supposed to root for but, instead, inspires vitriolic rage. Strangely, the only thing that stops an adult audience from becoming Scrooges, from allowing their inner Grinch to rain down porous scorn on the movie, is the addition to the cast of Mr Maddens: a cantankerous, curmudgeon of a teacher. Amongst the schmaltz and contrived wackiness is a beating heart encapsulated by a sublime Martin Freeman. Never before has one actor done so much to salvage one film as he does here. As Mr Maddens, Freeman is brittle and alone; his fear and sadness is often misunderstood as uptight sobriety. Yet, Mr Maddens is seen to care more for his class-room full of misfits and oddballs than anyone else and does so in a manner as tender and touching as one could imagine. "People think you're a bad lad, and maybe you're not, but the more bad things you do, people have you marked down as that," Maddens sternly tells one child who has been labelled a trouble maker. "You've got real talent and you let yourself down by being silly. There's only so many conversations l can have with you. Only so many times l can tell you off, do you understand? You don't want to be told off by me. lt's boring. l hate doing it. lt's really boring for me as well." The scene is rare and unspeakably beautiful. In an instant, Freeman's character becomes one of cinema's great teachers - not just to the children in his classroom, but to the adults watching the film too. If Mr Poppy is a human cartoon, then Freeman's Mr Maddens is simply a human - a very real, defeated, sad and lonely human. We empathise with his sorrow as he struggles through Christmas with a pained yearning for a love who is miles away, perhaps never to return. Yet, it is Maddens' pathos-filled life of teaching self-improvement, self-confidence and self-worth to a classroom full of children which really tugs at the heart-strings. Santa may come but once a year and receive all the glory but Nativity! shows us that real heroes can be those who look after our children all year round and inspire in them a sense of belonging, a sense of wonder. There's real warmth in how Maddens selflessly dedicates himself to his children - its a miracle not just for Christmas day but for life.